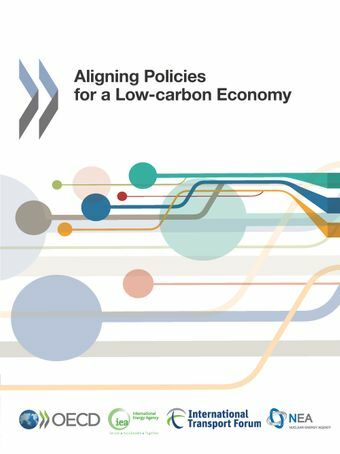 This report produced in co-operation with the International Energy Agency (IEA), the International Transport Forum (ITF) and the Nuclear Energy Agency (NEA) identifies the misalignments between climate change objectives and policy and regulatory frameworks across a range of policy domains (investment, taxation, innovation and skills, trade, and adaptation) and activities at the heart of climate policy (electricity, urban mobility and rural land use).Outside of countries’ core climate policies, many of the regulatory features of today’s economies have been built around the availability of fossil fuels and without any regard for the greenhouse gas emissions stemming from human activities. This report makes a diagnosis of these contradictions and points to means of solving them to support a more effective transition of all countries to a low-carbon economy. Italian Allineamento delle politiche per un’economia a basso contenuto di carbonio. The report "Aligning Policies for a Low-Carbon Economy" responds to that request by identifying where existing policy and regulatory frameworks are at odds with climate policy, i.e. where existing policies may make climate policy less effective than it could be otherwise. This is a synthesis of the four organisations’ initial diagnosis of where and how existing policy and regulatory frameworks may not be aligned with a low-carbon economy. The synthesis is available in English, in French, in German and in Chinese.